Portmore United on Sunday secured the first of two automatic semi-final spots in the 2017-2018 Red Stripe Premier League (RSPL) following a 2-0 victory over Reno at Prison Oval in Spanish Town, on Match Day 30. 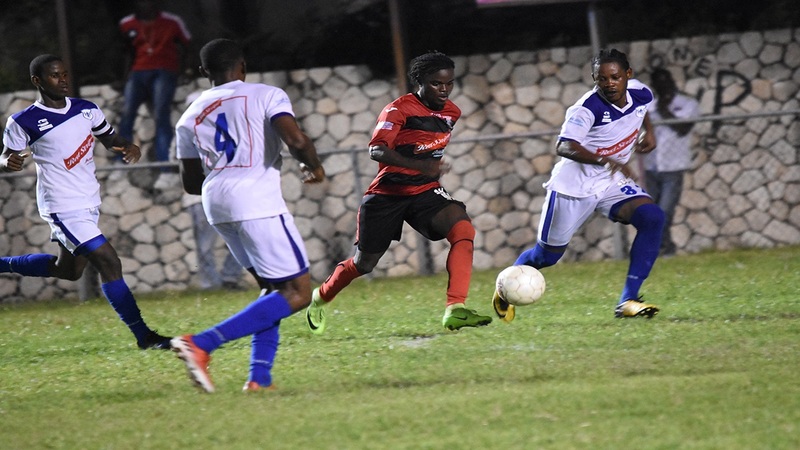 Their semi-final spot was confirmed after second-place and defending champions Arnett Gardens and Montego Bay United battled to a 1-1 draw at Wespow Park. 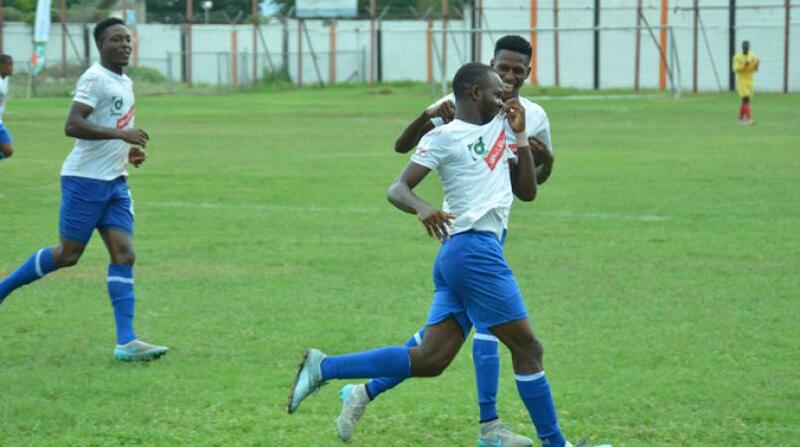 The victory pushes Portmore United (62 points) to an unassailable 14-point lead in the 12-team competition with another three set of matches remaining in the preliminary round. At the end of the preliminary round, the top two teams on points will advance straight to the semi-finals; while third to sixth place will enter into a playoff for the other two semi-final spots. Damono Salomon (43rd minute) and Venton Evans (71st minute) secured the goals for Portmore United, which enabled them to bounce back from two defeats inside five days. Reno remain on 39 points but slipped from ninth place to 10th. Arnett Gardens ended the match with 10 players following the ejection of Steve Clarke in the 38th minutes. The draw pushes Arnett Gardens to 48 point, two-point ahead of third-place Tivoli Gardens, which suffered a 1-0 home defeat against Waterhouse at Edward Seaga Sports Complex. Waterhouse secured the victory courtesy of a third minute goal from Cardel Benbow and the three points allow them to improve from fifth place to fourth with 44 points, now two points behind third-place Tivoli Gardens. 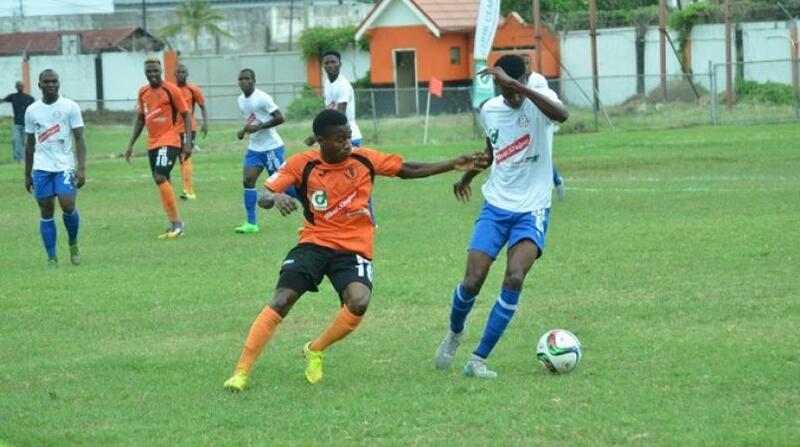 Over at STETHS, Humble Lion improved their chances for a playoff spot after whipping relegated Sandals South 3-0. Craig Foster (80th and 84th minutes) scored two goals in four minutes to seal the victory for Humble Lion, which improved from 10th the eighth place with 39 points. Andrew Vanzie found opening goal in the 78th minute. In the late game, Harbour View secured an important victory against the University of the West Indies (UWI) FC at the Harbour View Stadium to move into the top half of the table. They are in sixth place on 32 points. UWI FC are in eighth place with 39 points. Deshane Beckford scored the only goal of the game and it came during the first minute of play. Match Day 30 ends on Monday night with Cavalier hosting relegated Boys' Town at the Stadium East field. Cavalier vs Boys' Town at Stadium East at 8:35 pm.